Labs and research facilities have some of the most stringent building product requirements due to the nature of their business. From national labs, to pharma and biotech R&D facilities to hospital labs and university research& engineering facilities, all have the common goal of building and maintaining the highest of quality facilities. The Labs and Research Facilities Summit brings together the heads of capital planning and facilities from the largest labs and R&D facilities in the US. It is an invitation-only conference providing a relaxed and intimate platform for knowledge exchange, collaborating on best practices and exploring the most innovative solutions for your facilities. Labs and Research Facilities Summit has transformed the executive conference experience. Unlike other industry events, this conference is smaller in nature and allows you the real opportunity to build solid relationships and partnerships. The all-inclusive summit provides an intimate setting and creates a highly effective channel for true collaboration. Collaborate with your peers. Make information actionable. Overlooking the Las Vegas Valley, this upscale retreat is set on eight acres of gardens with its own Cabernet vineyard. The Spa at Green Valley Ranch offers a menu of European-inspired treatments, a salon, a fitness center, a lap pool, and a movement studio. A wide array of restaurants, a 10-screen movie theater, a video arcade, a shopping district, an “ultra-lounge” by nightclub impresario Rande Gerber, and a 2,000-seat amphitheater are additional highlights. Scheduled shuttle service is available to McCarran International Airport. Free Wi-Fi access is available throughout the hotel. 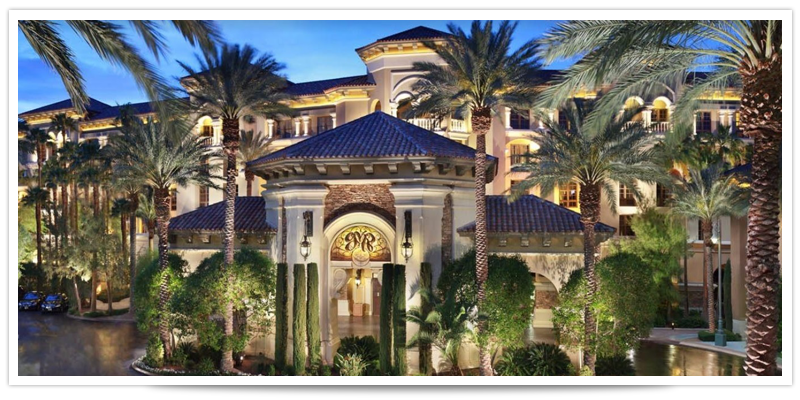 This Mediterranean-inspired resort sits on 8 manicured acres, 8 miles from the bustle of the Las Vegas Strip. The Labs & Research Facilities Summit is an invitation-only meeting for the directors of research, facilities and design from the largest labs and research facilities in the nation. Registrations are complimentary for qualified participants and include 2 nights of accommodations, meals, networking functions and participation in the full conference program. Solution providers are able to attend through sponsorship with a limit of two companies per category.